Claim to forfeit Moscow Region district ex-head’s $150 mln assets to be heard on March 21 | Russian Legal Information Agency (RAPSI). 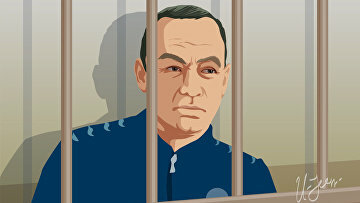 MOSCOW, March 11 (RAPSI) – The Krasnogorsk City Court in the Moscow Region will begin hearing a lawsuit lodged by prosecutors seeking to forfeit 10-billion-ruble ($150 million) assets of ex-head of the Moscow Region’s Serpukhov District Alexander Shestun on March 21, RAPSI reports from the courtroom. Prosecutors filed the claim in January. This property status does not correspond to his income, according to the Prosecutor General’s Office. The former official owns 676 real estate items in the Moscow Region’s Serpukhov district, 2 recreation facilities and 22 cars, prosecutors claim. Shestun has registered his property in the name of his relatives or trustees to evade declaration and suppression of his actual material position. Some property items have been sold, and the funds received have been converted to his own use or the use of his cronies, according to the prosecution. On January 18, the Investigative Committee reported that investigators received evidence that Shestun owned land plots worth 2.2 billion rubles ($33 million) aside from other assets found earlier. Ex-official Shestun stands charged with embezzlement, taking bribes and abuse of office. The victim in the case is the Serpukhov District administration. The defendant pleads not guilty. According to case papers, between 2008 and 2014, the Serpukhov District administration headed by Shestun illegally transferred four land plots in a local village to the company Center. Damage caused by these actions was estimated at 62 million rubles (about $925,000), investigators claim. Shestun was put in detention. He pleads not guilty.